The 700+ hedge funds and money managers tracked by Insider Monkey have already compiled and submitted their 13F filings for the third quarter, which unveil their equity positions as of September 30. We went through these filings, fixed typos and other more significant errors and identified the changes in hedge fund positions. Our extensive review of these public filings is finally over, so this article is set to reveal the smart money sentiment towards Scientific Games Corp (NASDAQ:SGMS). 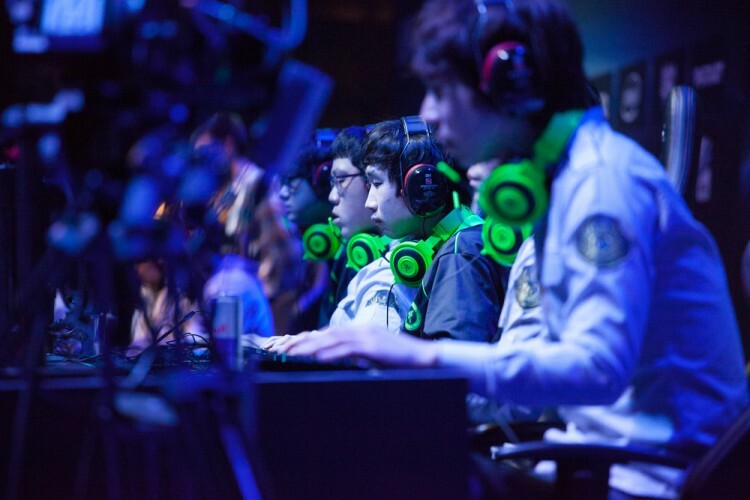 Scientific Games Corp (NASDAQ:SGMS) was in 24 hedge funds’ portfolios at the end of September. SGMS investors should be aware of an increase in enthusiasm from smart money of late. 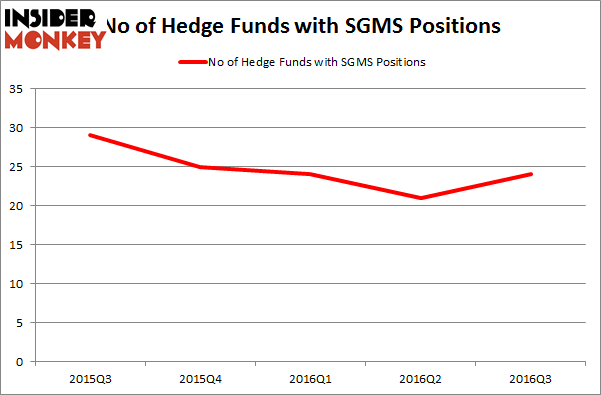 There were 21 hedge funds in our database with SGMS positions at the end of the previous quarter. At the end of this article we will also compare SGMS to other stocks including Trueblue Inc (NYSE:TBI), The Spectranetics Corporation (NASDAQ:SPNC), and Sun Hydraulics Corporation (NASDAQ:SNHY) to get a better sense of its popularity. What have hedge funds been doing with Scientific Games Corp (NASDAQ:SGMS)? At Q3’s end, a total of 24 of the hedge funds tracked by Insider Monkey held long positions in this stock, up by 14% from one quarter earlier, which followed three quarters of declining ownership. With the smart money’s sentiment swirling, there exists a select group of noteworthy hedge fund managers who were boosting their holdings substantially (or already accumulated large positions). According to publicly available hedge fund and institutional investor holdings data compiled by Insider Monkey, Fine Capital Partners, managed by Debra Fine, holds the largest position in Scientific Games Corp (NASDAQ:SGMS). According to regulatory filings, the fund has an $84.4 million position in the stock, comprising 8.7% of its 13F portfolio. Coming in second is Nantahala Capital Management, led by Wilmot B. Harkey and Daniel Mack, holding a $51.8 million position of call options underlying SGMS shares; 6.2% of its 13F portfolio is allocated to the holding. Remaining members of the smart money that hold long positions contain Paul Reeder and Edward Shapiro’s PAR Capital Management and Adam Wolfberg and Steven Landry’s EastBay Asset Management.